Koru Family Psychology offers a variety of specialized programs for children with exceptional needs. We believe that each child should be given the same opportunities to learn, develop, and grow. Early intervention and support is crucial in maximizing your child’s success. We provide an innovative treatment model to help children and parents develop a deeper understanding of their difficulties and to effectively manage the daily challenges children with and their families face. Effective interventions are individualized to address a variety of childhood challenges and disorders, including ADHD, anxiety, depression, learning disabilities, behavioural challenges, and autism. Specialists in the field of ADHD, we provide an innovative interveniton model to help children and parents develop a deeper understanding of ADHD and to effectively manage the daily challenges children with ADHD and their families face. Intervention programs involve regular support to address day-to-day difficulties and to facilitate ongoing progress with parent and child identified goals. 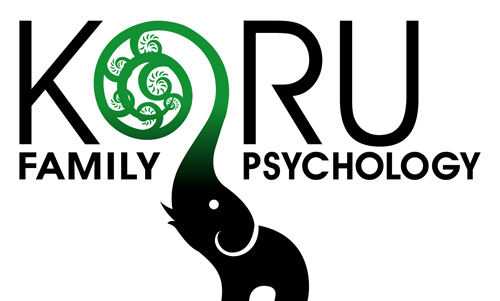 Koru Family Psychology offers a variety of specialized programs for children with exceptional needs, including autism. We believe that each child should be given the same opportunities to learn, develop, and grow. Early intervention and support is crucial in maximizing your child’s success. Services are also available for siblings, as siblings have their own unique needs that are often overlooked. Individual or group support is available. Private therapists, including a psychologist and behavioural consultant, are available to provide services for your child as part of a multi-disciplinary team, behavioural aide support, or individual consultation.